This is an Instructor Level/Train the Trainer Course. Students who complete this 5 day course will be certified as both Advanced Weapon Retention and Advanced Ground Survival Instructors. 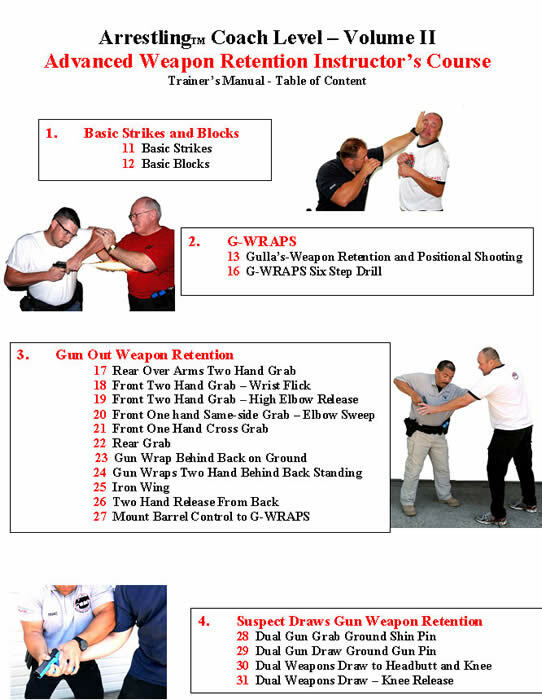 Course includes Arrestling: Advanced Ground Survival Vol I and Advanced Weapon Retention Vol II.